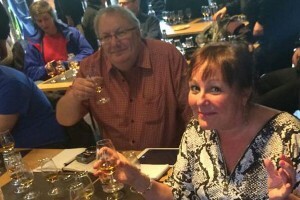 our personally guided whisky tours, visiting as many Scottish distilleries as you wish Our guests tell us our tours are an experience rather than a holiday! We want you to enjoy the very best of Scottish hospitality from the moment you arrive to the moment you (sadly leave) – you drink, we drive! Paul – owned and ran advertising agencies before tourism. Having discerning taste buds and a headful of useful and (not useful ) information. He is incredibly passionate about Scotland making him an ideal driver/guide. (He even make’s history interesting, says Liz!). He knows where and how to host impromptu whisky tastings – that’s what’s great, we always have a surprise for you! Liz the organiser and brains, finally a few years ago she stopped making hot toddies and realised whisky’s true worth . She now appreciates the ideal dram and if it passes her“whoo hoo” test, it’s a winner! Drink with her and you’ll understand, she still hates peat – but continues to try! Bless! They are a dynamic duo best of friends and superb hosts – you’ll soon feel like friends or family. The Scots are renowned for their warmth and friendliness and both share a love for the Scotland and a passion for fabulous drams. Arrive a guest, go home a friend! Who else is on board …. 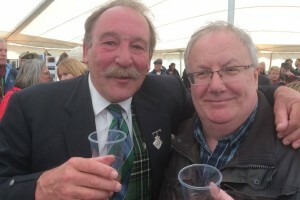 Paul McLean drinking with renowned whisky expert Charles MacLean – the Patron of their whisky club. Paul’s the one without the tash! We really appreciate Derek driving some of our Speyside whisky tours. 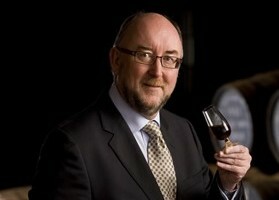 He’s a total whisky expert, a true Scottish gent who spent almost 30 years with Gordon & McPhail. Derek, now in retirement loves showing our guests around the distilleries in Speyside, sharing his passion over beers and drams. You really are in the hands of serious whisky man! Ron, based in Perth,works as a Water Bailiff on Scottish rivers, when he is not on tour. So if you want whisky & fishing, he’s your guy. He’ s been working for us for years taking small groups around Scottish distilleries, pubs – you name it, he’ll find it for you! Ron knows Scotland incredibly well and like Paul, passionate about Scotland. He has been know to partake of a dram or two – and loves to talk! Diageo master Vic Cameron. Vic (a good friend of ours), worked with Diageo for 23 years. His first whisky post was Production Manager at Blair Athol & Aberfeldy Distilleries, before moving into the malting division as Operations Manager at Burghead and Roseisle Maltings. In his time with Diageo Vic also completed his Diploma in Distilling with the IBD and sat on a number of industry committees including the Technical Committee of the MAGB, the UK NIR Grain Network and the Barley Committee. 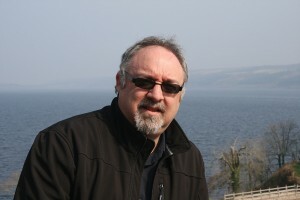 He is Senior Teacher with Edinburgh Whisky Academy, Whisky Lecturer with the University of the Highlands and Islands. 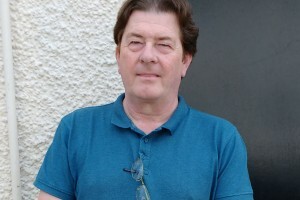 In addition to running his church, he also writes a monthly whisky article for the Northern Scot and contributes to various blogs. And – works alongside MCLEANSCOTLAND. The High Priest of the Dram. 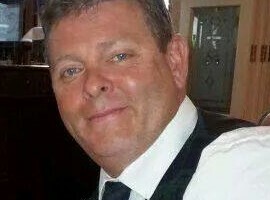 Mark has driven large coach groups for us in Scotland and Ireland, he also drive/guides small tours in both countries, a true Scot living in Belfast. Mark likes the Game of Thrones tours. He was a soldier in Belfast and offers the best city tour going, going to places even taxis don’t do. He transferred to the RCT when his British Army Regiment joined the Gordon Highlanders. Former Infantry at Queens Own Highlanders, he hails originally from Speyside, so he knows his way around whisky distilleries, he should do, his dad worked in one and has family live in Speyside! 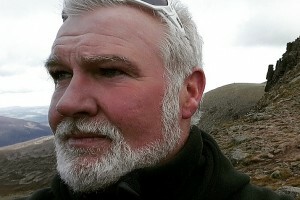 Our latest addition to the mcleanscotland/whisky tours team: David Sutherland Nisbet. David is retired from the Black Watch Regiment and drives tours for us when he has time (as he runs his own guest house). 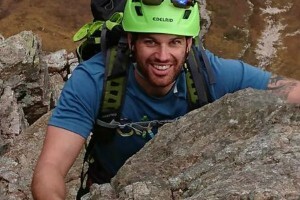 Walking/Climbing Guided Tours – whisky or touring, just let us know your preferences. David will look after you very well, just like all our drivers he is passionate about Scotland. He has a very good sense of humour and loves his history. You will enjoy your time with David.